SOMNOLENTA LA VOLAN ESTE RESPONSABILITATEA TA!!! 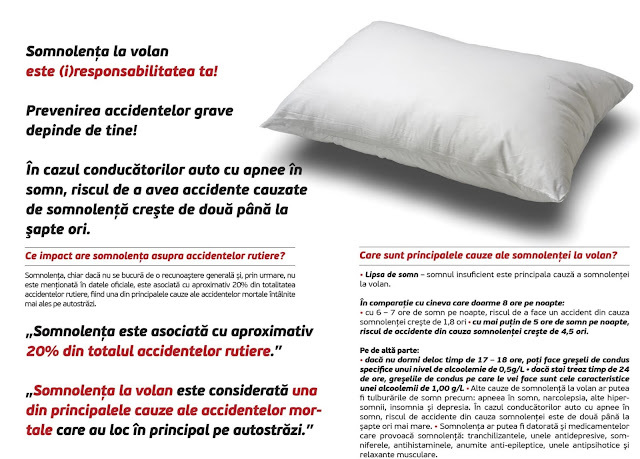 “Trezește-te Europa – nu adormi la volan!”- campanie de conștientizare despre somnolența la volan și siguranța traficului rutier, desfășurată în 18 țări europene printre care și România. 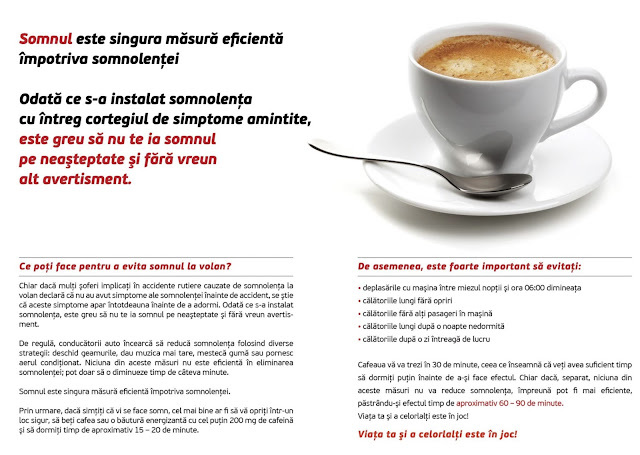 În acest sens a fost elaborat un chestionar privind somnolența la volan, adresat tuturor șoferilor, amatori sau profesioniști, suferind de vreo boală (inclusiv sindrom de apnee în somn) sau sănătoși. 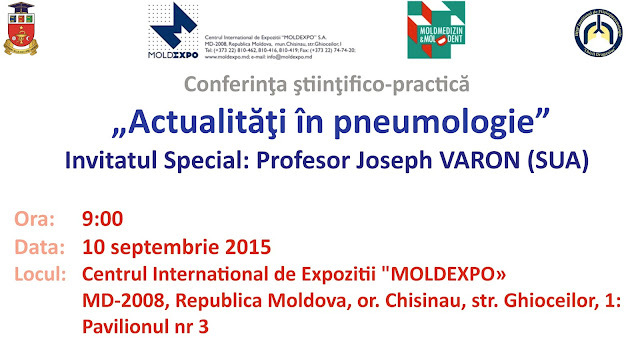 Va invitam pe data de 10 septembrie 2015 la Conferinţa ştiinţifico-practică „Actualităţi în pneumologie” care va avea loc in cadrul Expoziţiei internaţionale specializate MoldMedizin & MoldDent 2015! Dr. Varon, MD, FACP, FCCP, FCCM, FRSM, FRSM is the Chief of Critical Care Services and Past Chief of Staff at University General Hospital in Houston, Texas. He is a Professor of Acute and Continuing Care at the University of Texas Health Science Center in Houston, Texas and Clinical Professor of Medicine at the University of Texas Medical Branch in Galveston. He is also Professor of Medicine, Surgery and Professor of Emergency Medicine at several universities in Mexico, the Middle East and Europe. After completing medical training at the UNAM Medical School in Mexico City, Mexico, Dr. Varon served as internship in internal medicine at Providence Hospital/George Washington University, Washington, D.C. A subsequent residency in internal medicine was completed at Stanford University School of Medicine in Stanford, California. Dr. Varon also served fellowships in critical care medicine and pulmonary diseases at Baylor College of Medicine in Houston. An avid researcher, Dr, Varon has contributed more than 650 peer-reviewed journal articles, 10 full textbooks, and 9 dozen book chapters to the medical literature. He is also a reviewer for multiple journals and currently serves as Editor-in-Chief for Critical Care and Shock and Current Respiratory Medicine Reviews. Dr. Varon has won many prestigious awards and is considered among one of the top physicians in the United States. 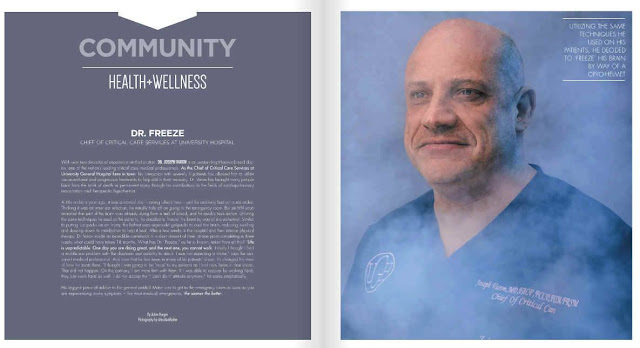 Dr. Varon is also known for his groundbreaking contributions to Critical Care Medicine in the fields of cardiopulmonary resuscitation and therapeutic hypothermia. He has developed and studied technology for selective brain cooling. He is also a well-known expert in the area of hypertensive crises management. With Dr. Carlos Ayus, he co-described the hyponatremia associated to extreme exercise syndrome also known as the “Varon-Ayus syndrome”. Dr. Varon has lectured in over 55 different countries around the globe. Along with Professor Luc Montagnier (Nobel Prize Winner for Medicine in 2008), Dr. Varon created the Medical Prevention and Research Institute in Houston, Texas, where they conduct work on basic sciences projects. 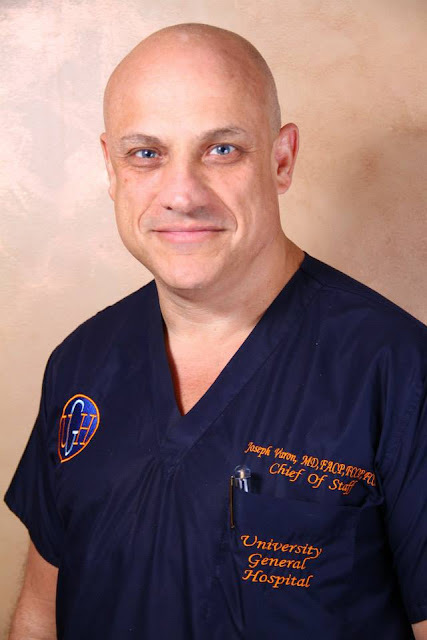 Dr. Varon has appeared in National and International television and radio shows with his techniques and care of patients. Dr. Varon is well known for his academic and clinical work in the management of acute hypertension and has published extensively on this subject. Hipotermia terapeutica in sindrom de detresa respiratorie acuta. Joseph Varon, Botnaru Victor, Corlăteanu Alexandru. Corlăteanu Alexandru, Botnaru Victor, Mathioudakis Alexandros, Sircu Victoria, Siafakas Nikos. Sîrcu Victoria. Evaluare riscului de apnee în somn. 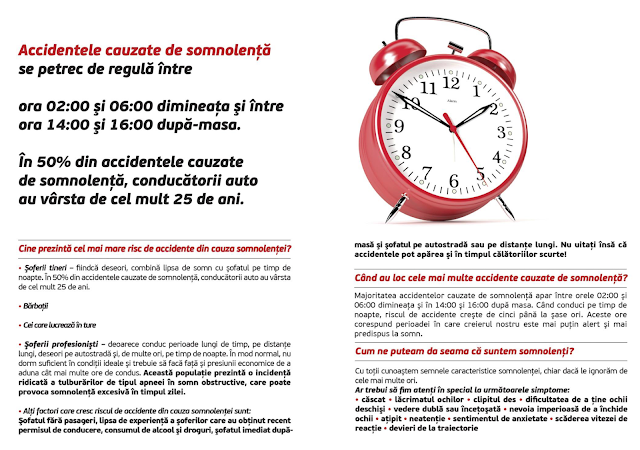 La eveniment sunt invitați să participe medici specialiști în pneumologie, medicină internă, medicină de familie, rezidenți și studenți.